In the Cree communities in the northern Quebec region of James Bay, patients will soon be able to go to their local clinic and have the attending clinician photograph and measure their chronic wounds using a smartphone app. The images and data captured by the device will be uploaded to cloud-based servers, allowing specialists more than a thousand kilometres away in Montreal to examine the wounds remotely at their convenience. “This will help these communities, which have a high prevalence of diabetes, get specialized wound care even in the absence of wound specialists in their area,” explains Carlo Perez, founder and chief executive officer of Toronto-based Swift Medical Inc., which developed the app that will be used by the Cree Board of Health and Social Services of James Bay as part of a small pilot project. 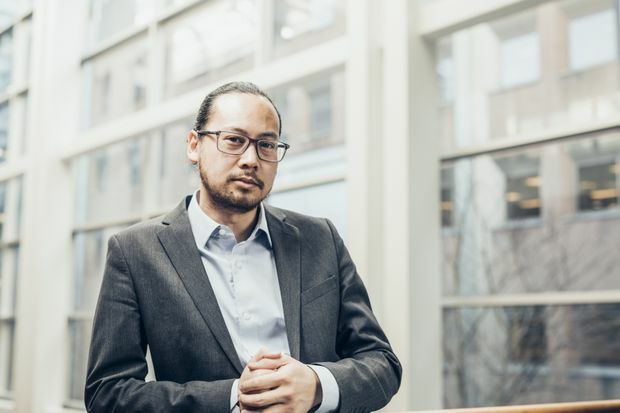 Carlo Perez, founder and chief executive officer of Toronto-based Swift Medical Inc. His company developed an app that will be used by the Cree Board of Health and Social Services of James Bay as part of a small pilot project. The Cree Board of Health pilot project is one example of how technology innovation can make a difference in health care, challenging old models of delivery and shifting some of the power – and responsibilities – to consumers of health services. Across the country, clinics, hospitals and medical testing labs are increasingly using modern technology to run more efficiently and improve the way they care for patients. Earlier this year, for example, six Canadian provinces signed up to an e-prescribing service run by Health Canada and Canada Health Infoway, a federally funded not-for-profit organization that works to accelerate the adoption of digital health applications. Through the service, doctors can write electronic prescriptions, which are sent online directly to pharmacies. Among the features of this platform is a notification service that lets doctors know their patients have picked up their medicine, an extra step that could help improve patients’ compliance with their treatment plans. In Quebec and Nova Scotia, many residents can access their health records and book medical appointments online. Quebec’s e-booking platform even allows users to see which doctors in a given area have openings in their calendar and which are taking new patients. Texting has also found its way into health-care delivery; Kids Help Phone, a crisis line for children and young adults, is testing a texting service to give kids an immediate – and familiar – way to seek help. But these building blocks have, so far, not added up to a cohesive and countrywide framework for digital health. These factors include Canada’s funding models for health care – which differ from province to province but are largely based on so-called “global” budgets that cover expenses – as well as industry regulations that need to be brought into the 21st century, complex procurement processes and payment models that don’t include digital health services. Global health-care budgets, which provide hospitals a lump sum each year, can be a disincentive for the adoption of innovation, says Huda Idrees, founder and CEO of Toronto-based Dot Health, which has launched a platform on which Canadians can access all of their health records. “The notion that hospitals have to keep and spend the budget they got last year can actually discourage them from finding ways to do things more efficiently,” she says. Regulations designed to protect patients can also present obstacles for technology companies with health applications, says Ms. Idrees. Dot Health, for one, had to go through a series of audits to demonstrate compliance with provincial and federal regulations covering the protection of personal health information. Beyond legislative hurdles, bidding for a contract in Canadian health care can be a daunting challenge. Ms. Hunter at PwC says most large contracts in the country’s health-care system are publicly tendered, and companies that want to bid must go through a rigorous and complex application process. Mr. Perez at Swift Medical can attest to that. Today, more than two-and-a-half years after it launched, Swift sells largely to customers in the United States. But the company is making headway in its home country, he says. Swift recently became a vendor for the Ontario Telemedicine Network, and its technology will soon be adopted by a number of health-care facilities in the country.